It's been interesting these last couple moths... I have two co-workers that have caught the marathon bug. It all started when my lead engineer's kids ran the Chicago Marathon on October 8th. He flew back to Chicago to watch and cheer them on. I saw some of the video he shot of them coming by at about the 20 mile mark, all the pictures he took... Proud papa he was (and is). But he also has said that he wants to do that run next year. The other guy is a diabetic, though not overweight at all, Vietnamese import who loves to glom onto ideas. Enthusiasm is his driver. He said this morning that he thought of that marathon during every step of his three miles (on a treadmill) last night. The "interesting" part is listening to them compare their training. It usually starts with one asking the other if they ran last night or this morning. Then I cringe as I hear about the aches and pains, the training philosophy (seems to be equal parts "no pain no gain" and "just run farther than yesterday"), and the self-doubt (on one's part) and Pollyanna-esque "no problem" (on the other's part). It makes me wonder about just how much (or how little) thought went into the planning for this undertaking. Sure, there was loads of inspiration, and that's awesome. But what about some research into just HOW to make it happen, in a sensible way? I do what I can to inject some sense into their training and progression, adding checkpoints along the path to a marathon that's more than 10 months away, but the next day I hear the same things, and it's apparent that it just isn't getting absorbed. I think I'm coming to understand that axiom more and more. Because I see it in action beside me on a daily basis -- the teacher was always there, but until the student is ready to hear it, the teaching is just so much background noise. It's very apparent that these two aren't ready. Hopefully it doesn't take an injury derailing their training at some crucial point (like too close to the event to recover) before their ears open up. So I keep shaking my head in bewilderment, and offer what I can. Who knows, they may just be able to muscle their way through it. Altra Lone Peak -- not exactly what I was expecting. I've got a bit of a soft spot for Altra, a new company on the running shoe scene with a lot of good ideas. The Altra Instinct is the first running shoe I've worn with PLENTY of toe room. In fact, they were comfy enough that I took them out for 10 miles the first time I wore them, without so much as a hot spot. 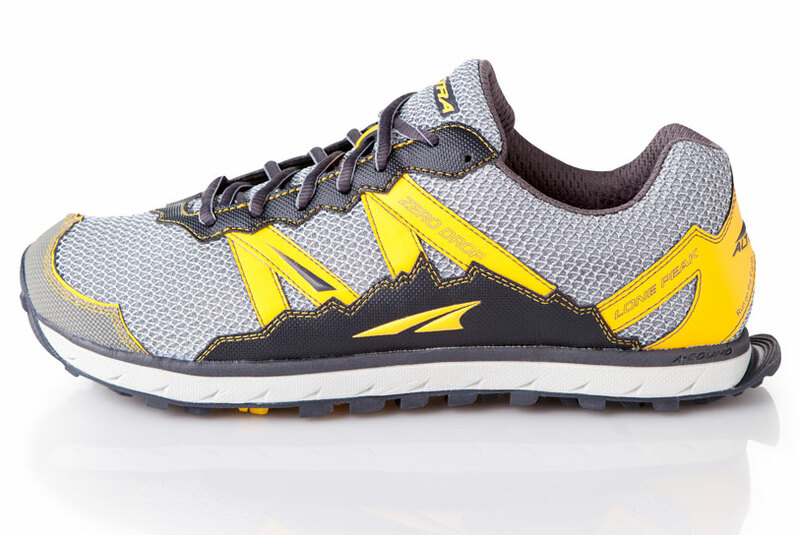 So when Altra had announced that the Lone Peak (see picture at right, from the Altra site) was finally hitting store shelves, I was on a mission to find them. I contacted Altra directly to see who in my area would have them in that first week. Turns out that shipping to this area was spotty, and when I called the particular stores, they didn't have them and didn't know when they'd arrive (one store thought that they wouldn't have them for quite some time). 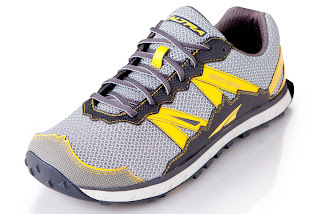 So this past Saturday, when my wife and I stopped at the Born to Run store, my main objective was to try on the Lone Peak, Altra's zero-drop (as all Altra shoes are) trail shoe. 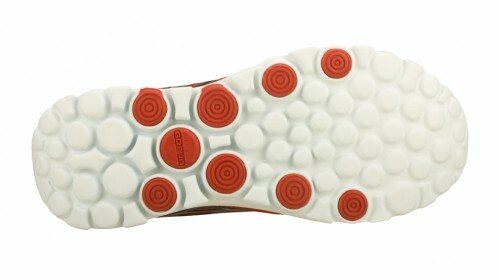 It differs from the Instinct in the toe cap, lateral material, and sole. The toe cap is larger and more substantial to protect from toe-stubs on rocks and roots. 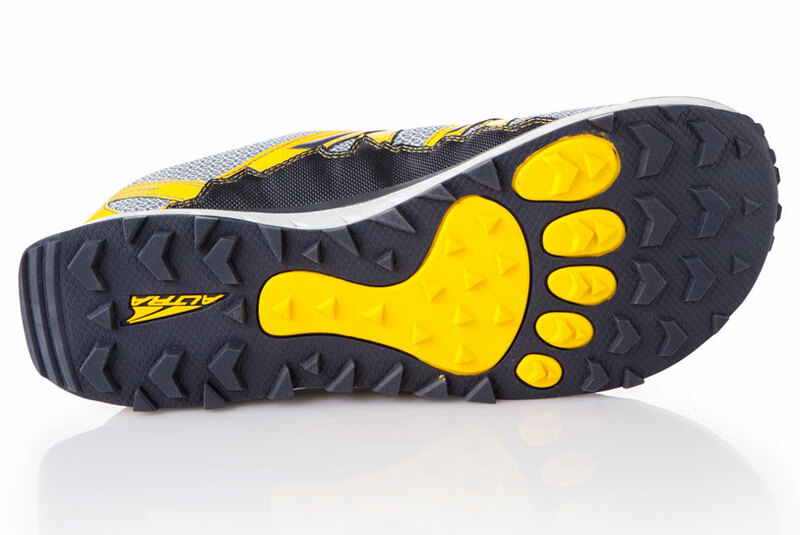 The sole has a much more aggressive tread, better in sloppy conditions, and includes a "trail rudder" (okay, I really don't see the use for this, but at least it doesn't appear that it would cause issues). And the lateral material is there for protection against sticks and rocks. The rearfoot area of the Lone Peak differs from the Instinct in that it doesn't have the rounded edge. With a forefoot or midfoot landing, this is really a non-issue, though. 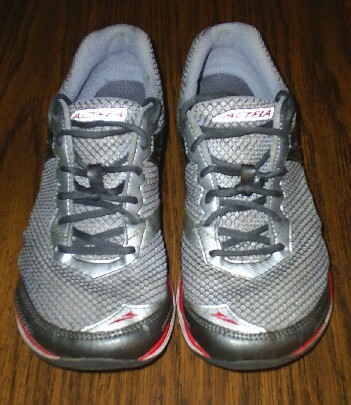 Altra uses the same last for both shoes, so one would expect that they would fit the same. And while they do have equal toe room, the small differences in the uppers make all the difference in the fit. When I first slipped on the Lone Peak, same size as the Instincts I've put over 350 miles on, I immediately felt like my foot was hanging over the lateral edge. I took it off and looked inside. 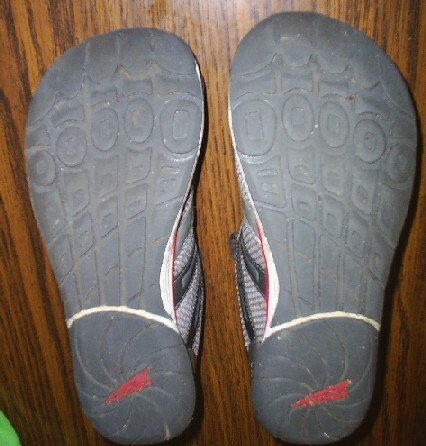 I noticed that the insole looked almost exactly like the "support" insole that came with the Instinct (and which I replaced with the "strengthen" insole immediately), and that it said "offroad footbed" (or something to that effect). And there were no other insoles in the box. So the Lone Peak only comes with the contoured insole? I put the shoe back on, and just tried to "feel". Yes, the toes had plenty of room, just as with the Instincts, but I just couldn't get over that feeling along the outer edge of my foot. I felt along the outside with my fingers to pinpoint where it was coming from, and found it right where the middle yellow strap crosses under the grey reinforcing material. I tried it again with no insole, and it felt the same -- a pressure point right at the aft head of the 5th metatarsal. I think the layering of the material in this area needs some re-thinking, both in location and firmness. That reinforcing material is quite stiff, and will tend to force anything underneath to be pressed into the foot. I looked at the upper, and it did seem like it was leaning out over the edge of the midsole slightly. I don't know if this is a quality control issue, or something to do with the stiff reinforcing material that is used for protection. So, I put them back in the box, a bit disappointed. Sure, I'll get another pair of Instincts when the ones I have are near the end of their life. But the Lone Peak won't be a part of my shoe rotation, at least in its current incarnation. I would urge you, though, to try them on for yourself. Your feet are not my feet, and these shoes may fit you just fine. Altra is a company I hope survives and thrives in the running shoe market. They've got a lot of good things going for them, and I like their philosophy. They've committed to zero-drop, natural running, and I think as one of the front-runners in the market niche, they've got a lot of good things going by not running head-long down the path of pure minimalism. Much was made of the fact that Meb Keflezighi was wearing Skechers GoRun shoes in the New York Marathon just a week ago, where he placed 6th in a personal best time. Then in the next breath, the nay-sayers would opine freely that these were custom Skechers, not the shoes that you and I can (and in my case, did) buy in the stores. Hey, the guy is one of... two? sponsored pro runners, and likely their paid guinea pig for every prototype. Of course he's wearing custom shoes! 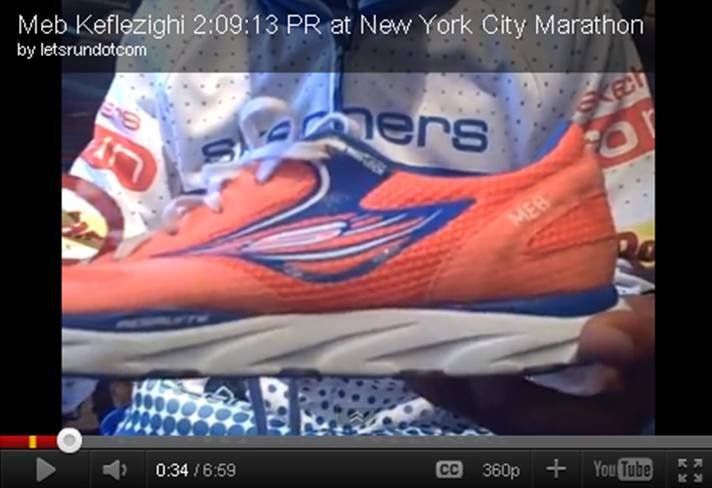 But what is different about Meb's shoe from what we have access to on the street? Well, I watched a post-race interview that was posted on RunBlogger, and in it he flashes the shoes he wore in the race past the camera a few times, as well as talks about them a little bit. First, he SAYS that reason the shoes he wears are custom is because he has narrow feet. I'll be the first to admit that the Skechers GoRun is a kind of wide shoe. And that's a good thing. I like a wide forefoot and toe box. But if some one's foot were narrow? That could be a lot of slop for 26.2 miles at a 5:00 per mile clip (or faster). Next, there's some obvious differences in the sole pattern. More "wear plugs" along the outer edge of the forefoot, and a large pod under the metatarsal heads rather than the small posts. It's difficult to tell from the video, but it appears that there isn't as much build-up under the midfoot as the the GoRuns on the market. The heel looks to be undercut just as much, so it may just be an illusion from the perspective. 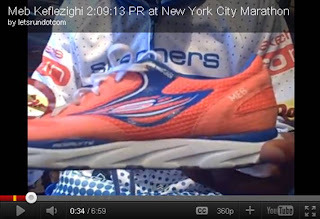 Lastly, it looks f rom this third video shot that Meb's shoes have a heel counter. My GoRuns have none, much like the Nike Free line. 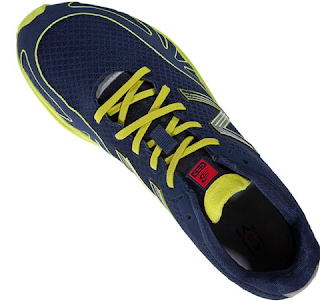 I like this feature, but I can't say that it's more comfortable than other shoes I've had with a heel counter. Maybe this is in answer to pressure from Nike, and maybe Meb just likes to have heel counters in his shoes. The fact that Meb has some custom GoRuns on, and did as well as he did, speaks volumes to me about both him and the Skechers company. They're serious about the line, and plan to make some modifications for future models. And they're going to the right people for advice. 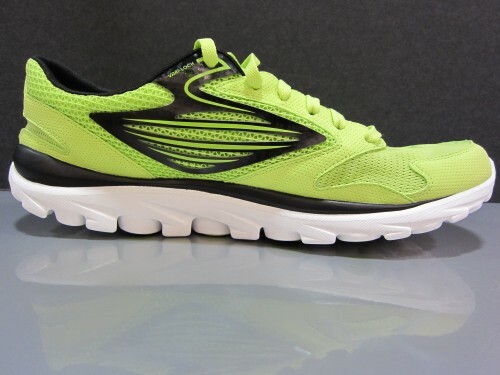 Note: Photos of stock Skechers GoRuns were taken from a Competitor Magazine article. I've had the Altra Instincts since early April, and they've become my go-to shoe for distance. I've got 350 miles on them now (okay, 343 miles, but that's close enough), and it's been long enough that they've shown their long legs. I've rotated them with the Saucony Kinvara (now retired), the Merrell Trail Glove, and very recently the Skechers GoRun. I surprised myself, as well as breaking every common-sense running rule, by taking them out on a 10-miler on my first wearing. My longest run in several years. Yes, they felt that good. And still today, they're the shoes that have the most toe room of any I own (including the TG). Toe room has become THE yardstick by which I measure running shoes. Even shoes advertised as having a wider, roomier toe box have fallen far short of the better shape needed for real toe splay. The ball of the foot (where they seem to want to measure foot width via the Brannick device) is only one measure. And most shoes start tapering inward as soon as they pass the ball, squeezing the toes together. When I look at my weighted bare foot, my big toe goes out in a straight line from heel to ball to toe. It would seem that all these companies think the world suffers from bunions! In any case, the Altra Instincts are, so far, the only running shoe I've tried on that truly solves that issue. My toes have full freedom in them. These shoes have worn very well. As you can see from this first photo, the uppers are showing little, if any, signs of wear. I've re-tied my shoes, tying a knot to isolate the lower eyelets (where I keep very little tension) from the upper eyelets (which keep the shoe on my foot just fine). I have always worn socks in these shoes. One time I wore socks that were short, sush that the top fell into the collar -- by the time the run was finished, I had a bloody spot on the back of my heel. The collar material is not so barefoot-friendly. However, it is robust. I was initially concerned with the logevity of the sole. I've had issues with non-carbon-black soles wearing out quickly. I'm glad to say that is not the case with the Instincts. This photo of the bottom shows very little wear, and even that is only on, what is for me, the initial contact point of the shoe to the ground. In fairness, much of my running is offroad. My long runs are about 3/4 pavement (concrete and asphalt), so it's not like I've been doing all those miles on soft dirt and grass. 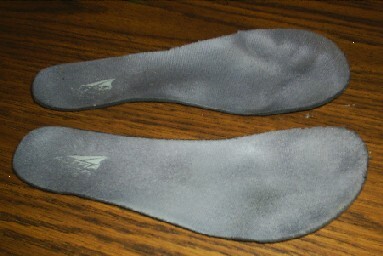 The insoles give a good idea of the amount of compression-set in the midsole. This is usually one of the weak points of any running shoe, where the balance is made between cushioning, weight, and endurance. Less give usually means longer life. I don't know what Altra uses for their midsoles, but it's holding up very well. I don't think I've had any other running shoe of this weight last as well. And many that were heavier in their midsole haven't lasted this long at all. How long will they last? I have no idea, but they're not going to give up any time soon. Altra is an upstart company with a sound philosophy that has a hit on their hands, and I'd love to see them get a good foothold (haha) in the market.